This is not a resonance in a coffee cup but the concentric circle pattern is similar to a resonance that you could frequently see. 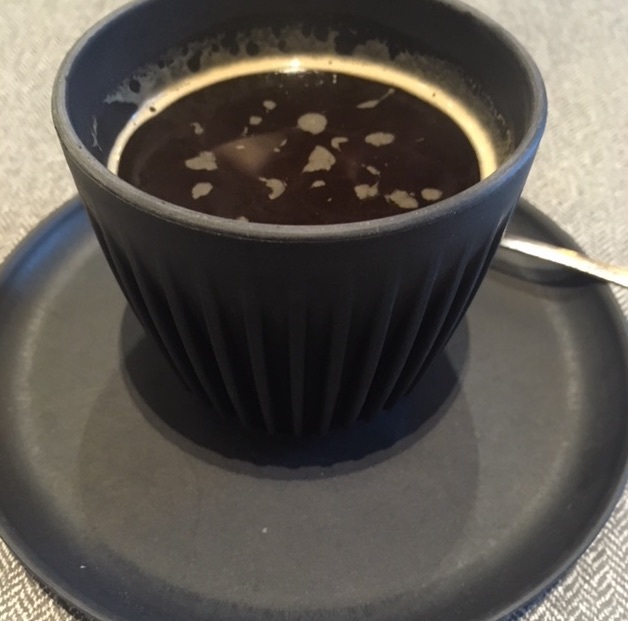 Have you ever noticed concentric rings on the surface of your coffee, forming as the table under the coffee cup vibrates slightly? 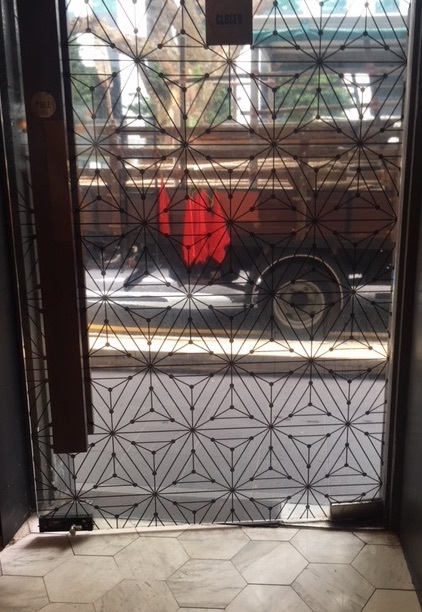 Perhaps you have seen more complicated patterns. You may have observed, as you have played with your coffee, that some patterns are more stable than others. The one that is formed from concentric circles is fairly easy to form and to see. A more complex one looks like a chequer board, you may perhaps of seen others. 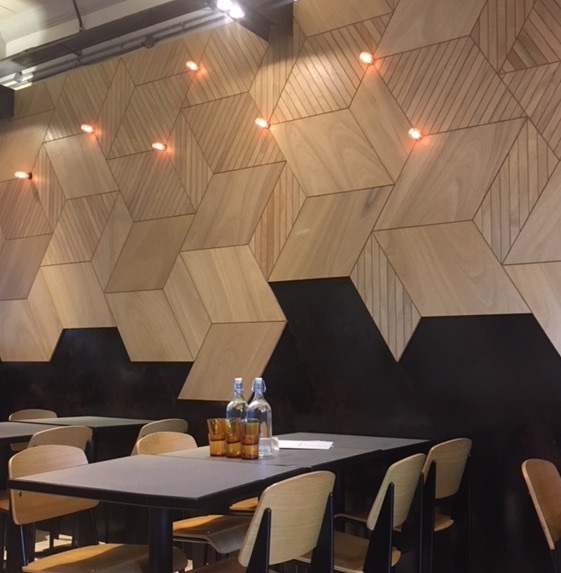 These patterns are what are known as ‘resonances’ on the surface of the coffee and they are the consequence of standing waves being set up on the coffee surface. Many people who have gone through an undergraduate physics degree will immediately be reminded of Chladni figures and there is a good reason for this. Ernst Chladni (1756 – 1827) was a pioneer in investigating such resonances, one of the reasons that he has been described as “the father of experimental acoustics”. And yet Chladni was not a physicist in the way that we now think of the term. In fact, by training he was a lawyer, a consequence of following his father’s rather insistent ‘advice’. Obediently, Chladni had trained in law and had started working as a lawyer in 1782 when his father died. Chladni appears to have taken this event as an opportunity to start to investigate the scientific problems that he was actually interested in and so re-invented himself as an acoustician testing the theories of music developed by people like Bernoulli and Euler¹. Like strings on a guitar. Resonances on a string can be used to make musical notes. Did Chladni drink coffee in eighteenth century coffee houses while admiring the resonances in the cup? Sadly what comes down to us in history is not his coffee habit but his experiments with sand covered metal plates secured onto wooden rods. Chladni caused resonances on these plates by rubbing them with a violin bow. By exciting resonances similar to those you can see on the surface of your coffee, Chladni was able to test theories about the sounds made by curved metal surfaces (e.g. bells). Indeed, these experiments became so important to understanding acoustic theory that Chladni started a European tour demonstrating his plates and their relevance to designing musical instruments. It was presumably through one of these tours that he met an Emperor of the time, Napoleon Bonaparte. But despite this great experimental progress, the mathematics used to understand these resonance patterns, was developed by another physicist with a non-typical career path, Friedrich Bessel (1784-1846). Bessel had trained as an accountant but with the good fortune of timing, he had apprenticed into an exports company. At this time, such companies would have been interested in the problem of longitude and so Bessel gained an opportunity to indulge his interest in astronomy. As a consequence of this work, particularly his work on the orbit of Halley’s comet, Bessel secured a job in an astronomical observatory and it was there that he started the work that would eventually lead us to be able to describe, mathematically, the resonances on the surface of your coffee. Did Bessel drink coffee? Had he seen Chladni demonstrate his plates? We don’t know the answer to those questions and in many ways it is not relevant because Bessel’s mathematics did not concern such resonances at all. Instead, almost to underline the idea that everything is connected, particularly with physics and coffee, Bessel was working on the problem of how to calculate the gravitational attraction between multiple objects. The note made by a drum is a function of the size and shape (therefore resonance pattern) of the drum and also the gas filling the drum. Would this drum-table sound the same if banged on Venus as on Earth? It was this problem that Bessel was working on and by so doing he solved the problem of Chladni’s patterns. The maths that describes the many body problem also describes the way that these resonances form. Those patterns in your coffee are described by the same maths as allows us to calculate complex gravitational problems. And so perhaps it is not quite correct to title this post as a lawyer, an accountant and an emperor walk into a café, but it would be fair to say that each time you catch those resonances in your coffee cup, the influence and interests of these investigators of nature are infused within the brew. You can find a sketch of Chladni entertaining Bonaparte with his metal plates here. Everything is connected. At least, that is part of the premise of Bean Thinking, where the physics of a coffee cup is used to explore the physics of the wider world. So it was great to stumble upon a new connection that I had not previously appreciated¹. 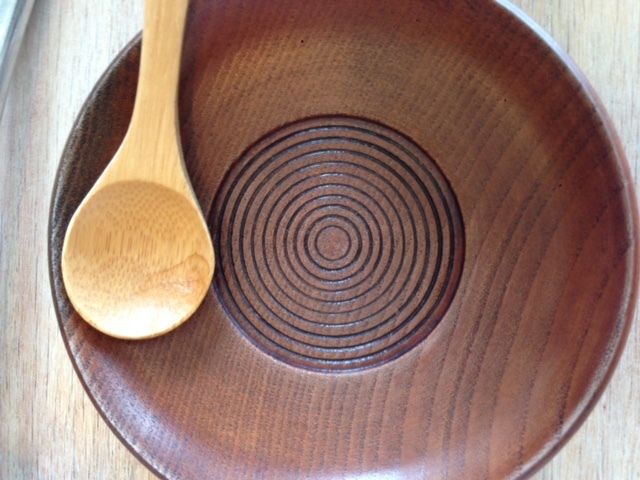 Like the vortices behind a spoon dragged through coffee…. 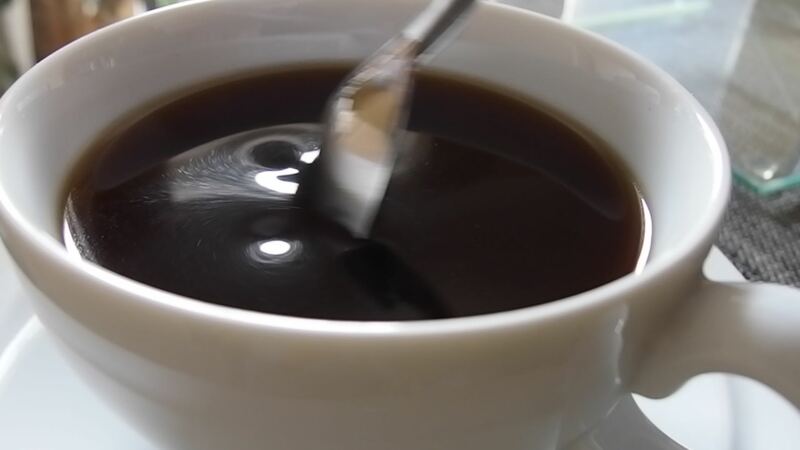 The connection is between climate science and that wonderful pastime of pulling a spoon through coffee and watching the vortices form behind it. Yet the research that revealed this connection was not looking for links between coffee and the atmosphere. Instead the researchers were interested in something seemingly (and hopefully) very far from a coffee cup: rogue waves. Rogue waves are rare and extremely large waves that have been the subject of mariners tales for many years. Nonetheless, it is only relatively recently that they have become the subject of scientific research, partly because they are so rare and so outside our usual experience that they were thought to be the stuff of myth rather than of science. So it is only now that we are developing an understanding of how it can be that, in amongst a number of smaller waves, a massive wave of 20m height can suddenly appear, apparently out of nowhere. One of the groups looking at this problem investigated the effect of a particular sort of (known) instability on a series of waves in water. 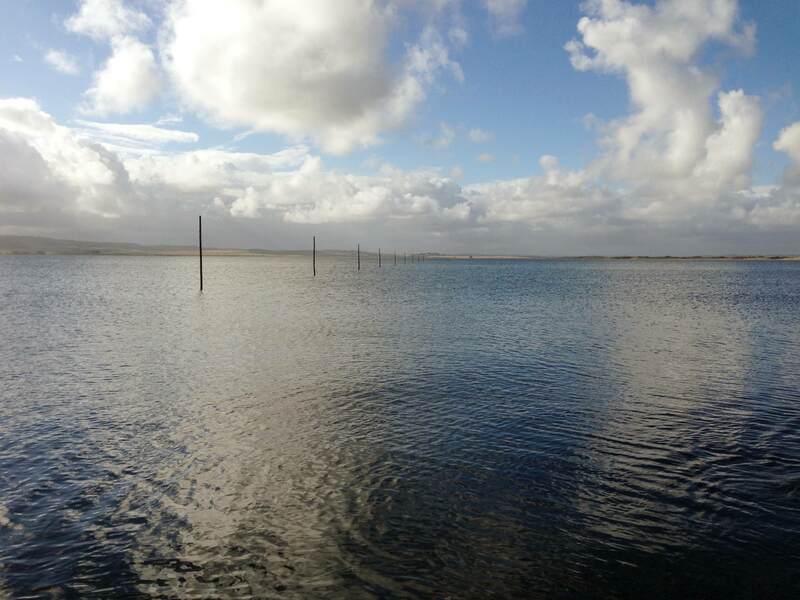 However, unlike other research groups, this particular study included the effect of the air above the water as well as the waves themselves. Rogue waves seem to come out of nowhere. A rogue wave can be 2 or 3 times the height of the other waves in the water at the time. How and why do they form? Although this sounds a simple idea, modelling water waves in air is actually extremely complex. To do so, the authors of the study had to use a computer simulation of the air-water interface. It is not the sort of problem that can be solved analytically, instead the computer has to crunch through the numerical solutions. In order to start to see what was going on with the rogue waves, the authors had to simulate multiple waves of different amplitudes. Each simulation took weeks to perform. Given that this was only a few years ago (the study was published in 2013), you can start to see why people had previously been approximating water waves as waves in water (without worrying too much about the air interface). Now here is where the link with coffee comes in. The group modelled waves as a function of steepness and found that, above a critical steepness, the wave breaking caused significant interaction between the air and the water layers. In addition to the bubbles that form when waves break, the movement of the air over the breaking wave formed into a vortex which, when it interacted with the back of the wave created an opposite vortex: a vortex dipole “much like the vortices that form behind a spoon dragged through a cup of coffee“. Just as with the vortices in the coffee cup, vortices were forming in the air behind the wave crest (which acted as the spoon) and travelled upwards through the atmosphere and away from the waves. As each wave broke, a train of vortex dipoles were produced that twirled off into the sky. 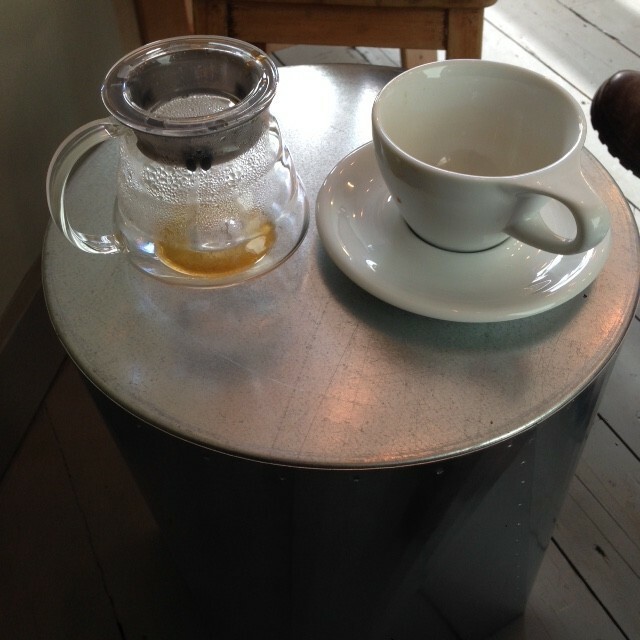 Imagine a coffee bath and multiple spoons rather than a coffee cup. 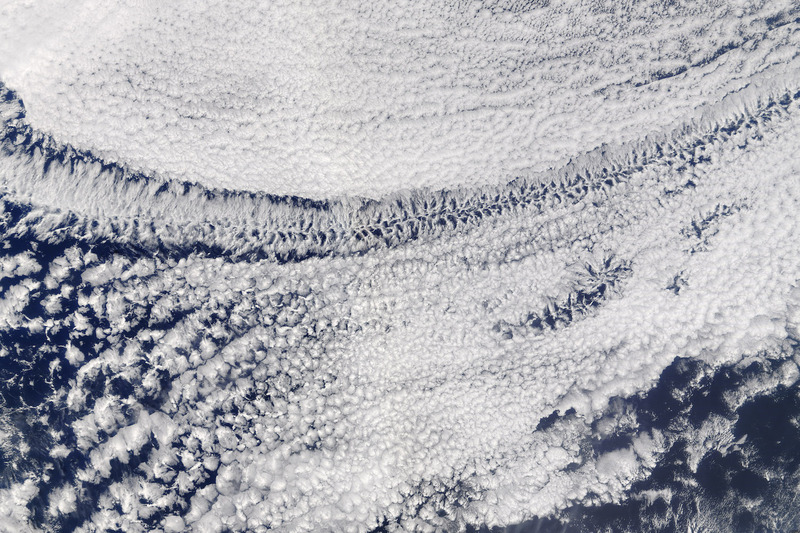 The authors suggested that these vortices could carry aerosols from the sea (salt, water droplets etc) into the atmosphere. Travelling within the vortices, these tiny particles could travel far further and far higher than we may have expected otherwise. Such aerosols can be critical for cloud formation and so the effect of these breaking waves could be important for climate modelling. While an undergraduate, I had an opportunity to study a course in atmospheric physics. I remember the lecturer lamenting that while we (as a community, but not really as the students sitting in the lecture theatre at that time) understood atmospheric modelling quite well and that we understood how to model the oceans fairly well, we got problems when we tried to put the two sets of models together. It was clear that something wasn’t quite right. Years later, it seems that at least past of the reason for that is linked to those vortices that you see as you pull your spoon through your coffee cup. A summary of the study can be found here. The abstract (and link to the pdf) of the published paper can be found here. If you do not have access to the journal through a library, an early, but free, version of the paper is here – note though that this version may not include the amendments included after peer review. 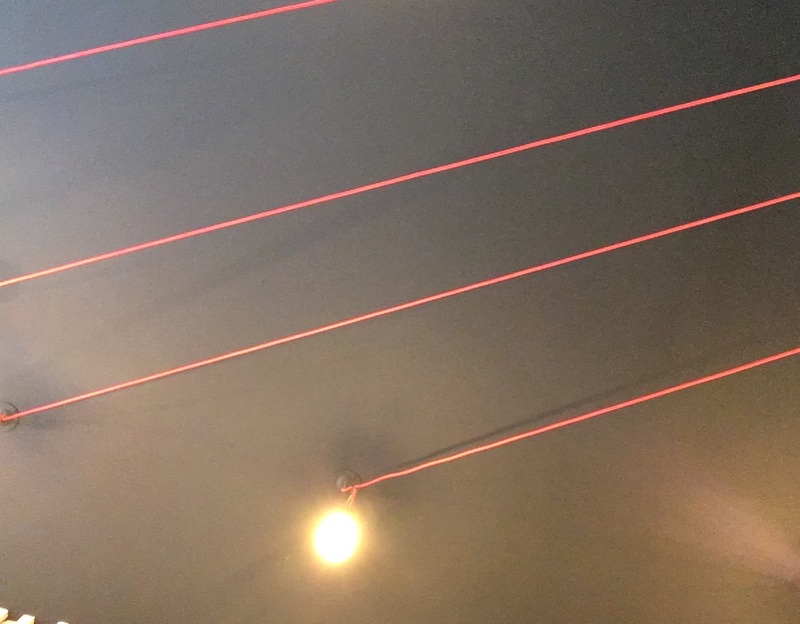 Parallel lines and surface reflection: The parallel lines on the ceiling of a café were reflected in a long black. 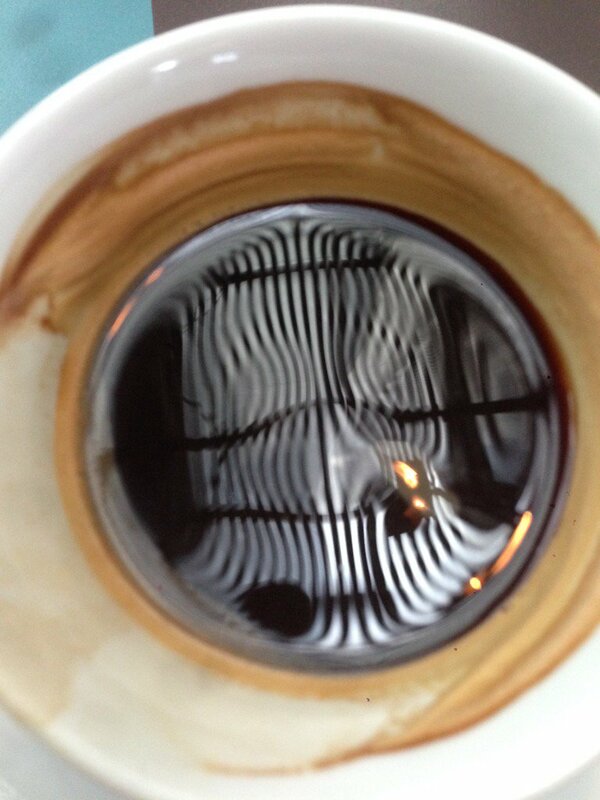 Surface tension effects on the coffee meant that the reflections were curved and not at all parallel. 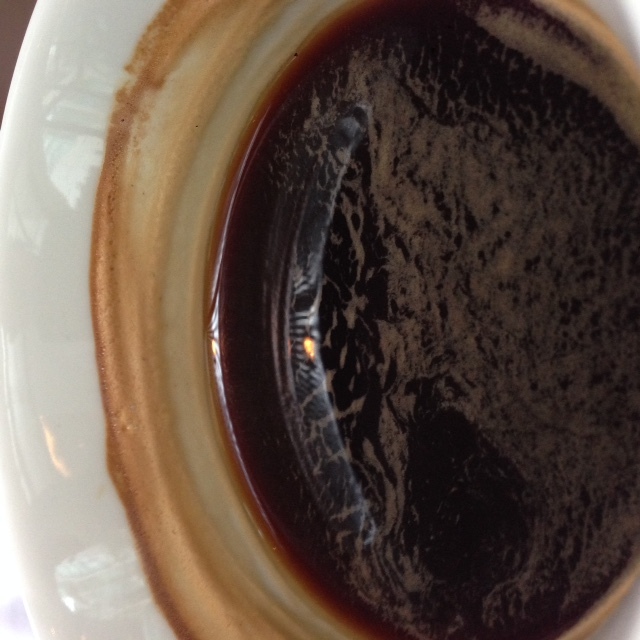 A piece of dust on the surface of the coffee was revealed in the reflection by the curved reflections of the ceiling. Astronomers can use similar effects (where images of a star appear in a different location to that expected) to infer the presence of dark objects between distant stars and their telescope. This gravitational lensing can be used to detect quasars or clusters of galaxies. Layering of crema as the coffee is consumed: The coffee stain effect and this layering of the crema suggests a connection between a coffee cup and geology. It used to be my habit to take a mug of tea with me when I taught small groups of undergraduates. In the course of one of these tutorials, a student (who had been observing similar layering in my tea mug) said, “You drink your tea faster when it is cooler than when it is hot”. Full marks for observation, but not sure what it said about his attention during my tutorials! Similar observations though can help geologists estimate the age of different fossils. 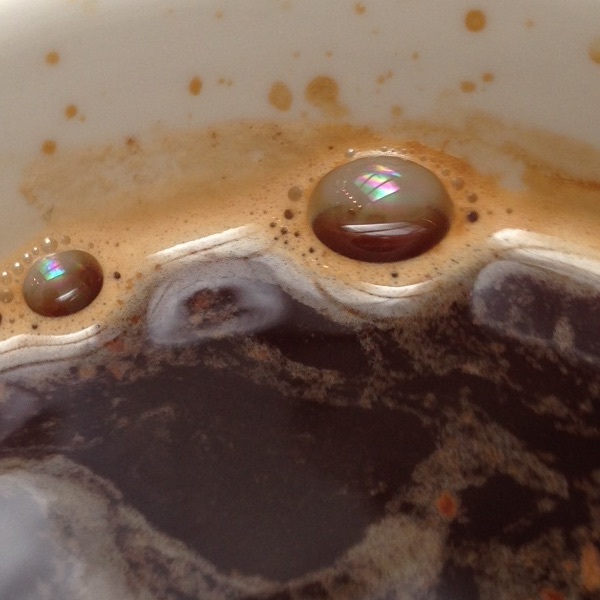 Bubble reflections: An old one but the interference patterns caused by bubbles on the surface of the coffee are full of fascinating physics. The fact that the bubbles are at the side of the cup and seem to be grouped into clusters of bubbles may also be connected with surface tension effects (although there is a piece of weather lore that connects the position of the bubbles to the weather. If anyone ever does any experiments to investigate this particular lore, I’d love to hear about them). 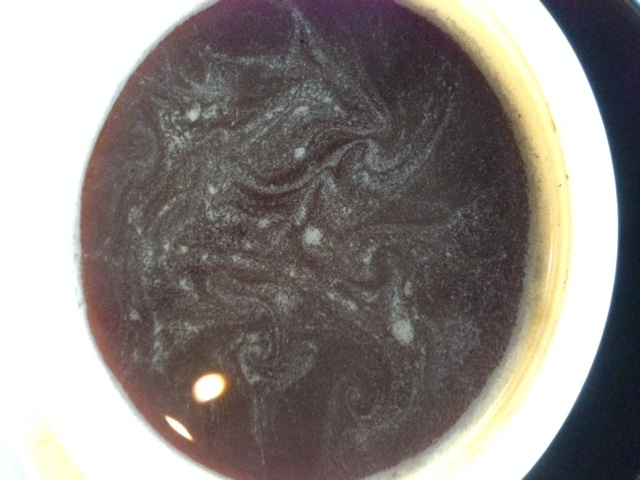 Van Gogh’s Starry Night: The effects of vortices and turbulence caused the crema of a black coffee to swirl into patterns reminiscent of this famous painting by Van Gogh. As a result of posting this image on Twitter, @imthursty sent me a link to this preprint of a paper submitted to the arxiv: the connections between Van Gogh’s work and turbulence. A great piece of coffee combining with art and science. So many connections can be made between tea, coffee and science and the wider world, I’d love to see the connections that other people make. So, if you see some interesting physics, science or connections in your coffee cup, why not email me, or contact me via FB or Twitter.